A background check is executed to look further into a persons professional, personal, and financial history. 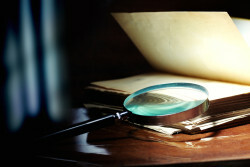 What can a private investigator find when conducting a background check? Background checks can be as simple or complex as you want them to be. We tailor every one of our background checks to our clients needs. Whether looking just at criminal history or arrests, vehicle information, any public record or bank information we are leaders in the industry providing up to date, quality, and accurate information. If you don’t see a specific category please call us for more detailed information. This is not an all inclusive list. Criminal records are available from state, county, and nationwide. First, people lie. A few of the major topics I’ve noticed people either lie, omit, or change: Employment and education history, degrees, professional organizations, licenses and certifications, and hiding assets and money before litigation. Hiring a new employee, looking into on a new or current tenant, making an investment, due diligence before entering into a business arrangement, entering into a new relationship, and before hiring a nanny. The more information you provide is obviously ideal. However, we require at least a first and last name. Date and location of birth, social security number, current city and previous cities is also helpful. Why hire a private investigator? Can’t I get the same information from paid online databases? Don’t trust your background check services to any “research” or “database” company you find on the internet. Not only will they barely scratch the surface of a true background check, but the sources they use are often outdated and not accurate. Also, some records are not available online and they still need to be validated. We know where to look including: Public records, court documents, interviews, proprietary databases only accessible by private investigators, surveillance, and many more! Not only do we know where to look, we are very efficient at doing so. Providing quality and efficient reports. Saving our clients time, potential headaches, and money. Trust in experienced Wisconsin private investigators to leave no stone unturned. Finally, there is no such thing as a one click national database for conducting background checks. Only one exception exists: NCIC. The FBI’s National Crime Information Center. Available only to certain criminal justice agencies and law enforcement. Call Third Coast Investigations – Professional Green Bay, Wisconsin Private Investigators now for information regarding background checks, background investigations and any other service or a free phone consultation.